President Coolidge with Count Alex Skrzynski, Polish Minister of Foreign Affairs, Swampscott, Massachusetts, July 17, 1925. Courtesy of Corbis. Much has been brought to the forefront of the Presidential campaign this week about handling disagreement, responding to protesters, and the healthy respect and regard that both sides of each issue must show in civil debate. We do not, and never will, completely agree on all matters. If we did, we would enter, as Calvin Coolidge expressed it, “a state of equilibrium closely akin to an intellectual and spiritual paralysis.” At the same time, just because we do not see things eye to eye – a fact of our entire history – this does not give us permission to encourage violent reaction against those we find on the “other side.” This applies with the same force to those on one side who proudly mock the obedience to law and order while those on the other side hold the decency of treating others as we would be treated with equal contempt. Both are guilty even if you are a Presidential candidate who praises the good old days when brawling and “roughing up” were supposedly acceptable. He, while characteristically denying his influence, has effectively been giving permission to violently remove dissenters from his rallies rather than exemplify respect to those with whom we disagree. The criminal can be found on each side and should be held equally accountable under the law. Both are violating the freedoms of the First Amendment. Both are guilty whether you throw the punch or receive it, whether you are an opposition activist seeking to disrupt and destroy or a reckless supporter who perpetuates “us” versus “them,” with a lack of control. Neither is a victim when both have abandoned the American ideals of mutual respect and toleration, of forbearance and self-control. President Coolidge returning the salute of his son, cadet John Coolidge, at Camp Devens, August 30, 1925. Coolidge, in a speech commended at the time for its courage and resolve, went to one of the “ground zeros” of racial and political discord of the 1920s, the city of Omaha, Nebraska, which had experienced one of the worst riots in 1919. He went not to investigate those insufficiently “down with the struggle” nor to embroil Washington in fixing America’s racism. He went to heal, to bring Americans back together, and make the case for the nation’s exceptional ideals, ideals that unite and bring peace. 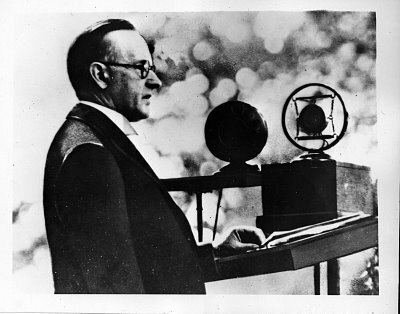 Coolidge’s message, addressing those of all backgrounds who had served in the recent World War, was also broadcast across the country. In effect, it was something everyone needed to hear. It is likewise, something we need to hear again. Part of the illustrious 369th, “Harlem Hellfighters,” among many whom President Coolidge had in mind during this speech. “In this period of after-war rigidity, suspicion, and intolerance our own country has not been exempt from unfortunate experiences. Thanks to our comparative isolation, we have known less of the international frictions and rivalries than some other countries less fortunately situated. But among some of the varying racial, religious, and social groups of our people there have been manifestations of an intolerance of opinion, a narrowness of outlook, a fixity of judgment, against which we may well be warned. It is not easy to conceive of anything that would be more unfortunate in a community based upon the ideals of which Americans boast than any considerable development of intolerance as regards religion. To a great extent this country owes its beginnings to the determination of our hardy ancestors to maintain complete freedom in religion. Instead of a state church we have decreed that every citizen shall be free to follow the dictates of his own conscience as to his religious beliefs and affiliations. Under that guaranty we have erected a system which certainly is justified by its fruits. Under no other could we have dared to invite the peoples of all countries and creeds to come here and unite with us in creating the State of which we are all citizens. “We must not, in times of peace, permit ourselves to lose any part from this structure of patriotic unity. I make no plea for leniency toward those who are criminal or vicious, are open enemies of society and are not prepared to accept the true standards of our citizenship. By tolerance I do not mean indifference to evil. I mean respect for different kinds of good. Whether one traces his Americanism back three centuries to the Mayflower, or three years of the steerage, is not half so important as whether his Americanism of to-day is real and genuine. No matter by what various crafts we came here, we are all now in the same boat. You men constituted the crew of our ‘Ship of State’ during her passage through the roughest waters. You made up the watch and held the danger posts when the storm was fiercest. You brought her safely and triumphantly into port. Out of that experience you have learned the lessons of discipline, tolerance, respect for authority, and regard for the basic manhood of your neighbor. You bore aloft a standard of patriotic conduct and civic integrity to which all could repair. Such a standard, with a like common appeal, must be upheld just as firmly and unitedly now in time of peace. Among citizens honestly devoted to the maintenance of that standard there need be small concern about differences of individual opinion in other regards. Granting first the essentials of loyalty to our country and to our fundamental institutions, we may not only overlook but we may encourage differences of opinion as to other things. For differences of this kind will certainly be elements of strength rather than of weakness. They will give variety to our tastes and interests. They will broaden our vision, strengthen our understanding, encourage the true humanities, and enrich our whole mode and conception of life. I recognize the full and complete necessity of one hundred per cent Americanism, but one hundred per cent Americanism may be made up of many various elements. The President being pinned by Mrs. Coolidge with the first Red Cross Button of that year’s annual drive, Washington, October 29, 1925. “It is for these reasons that it seems clear that the results of the war will be lost and we shall only be entering a period of preparation for another conflict unless we can demobilize the racial antagonisms, fears, hatreds, and suspicions, and create an attitude of toleration in the public mind of the peoples of the earth. If our country is to have any position of leadership, I trust it may be in that direction, and I believe that the place where it should begin is at home. Let us cast off our hatreds…If the world has made any progress, it has been the result of the development of other ideals. If we are to maintain and perfect our own civilization, if we are to be of any benefit to the rest of mankind, we must turn aside from the thoughts of destruction and cultivate the thoughts of construction. We can not place our main reliance upon material forces. We must reaffirm and reinforce our ancient faith in truth and justice, in charitableness and tolerance. We must make our supreme commitment to the everlasting spiritual forces of life. We must mobilize the conscience of mankind. 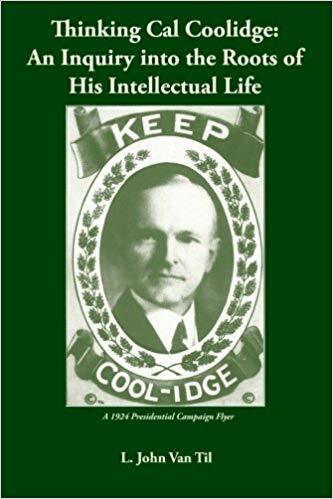 President Coolidge knew that the “anger of man” never yielded the righteousness of God (James 1:19-20; Titus 3:10-11), that befriending the angry and violent would merely result in learning those ways and ensnaring the soul (Proverbs 22:24-25; 29:22). He knew this happens to nations as well as individuals. This is what compelled him to speak, to appeal to greater principles, to champion the truth. For, as is written, “If it is possible, so much as it depends on you, live peaceably with all men”(Romans 12:16-21), and again, “Blessed are the peacemakers, for they shall be called the children of God”(Matthew 5:9).